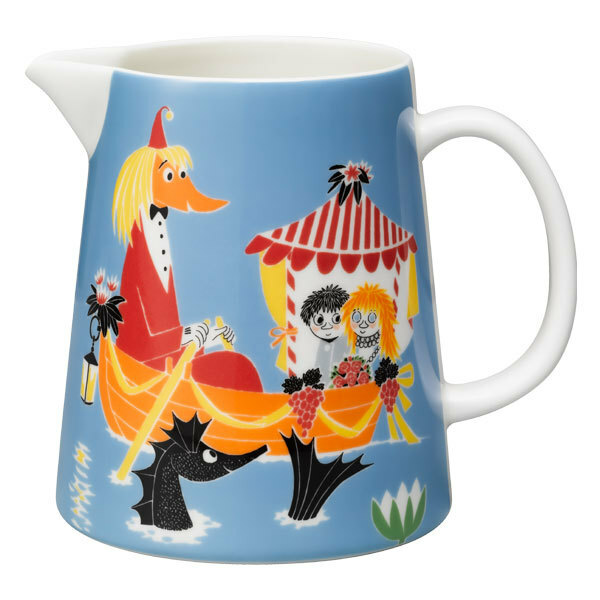 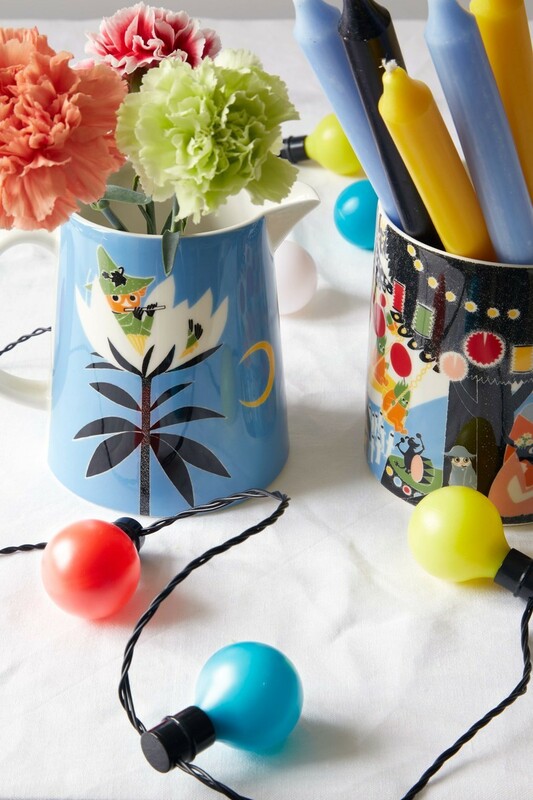 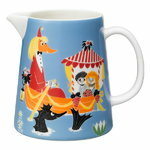 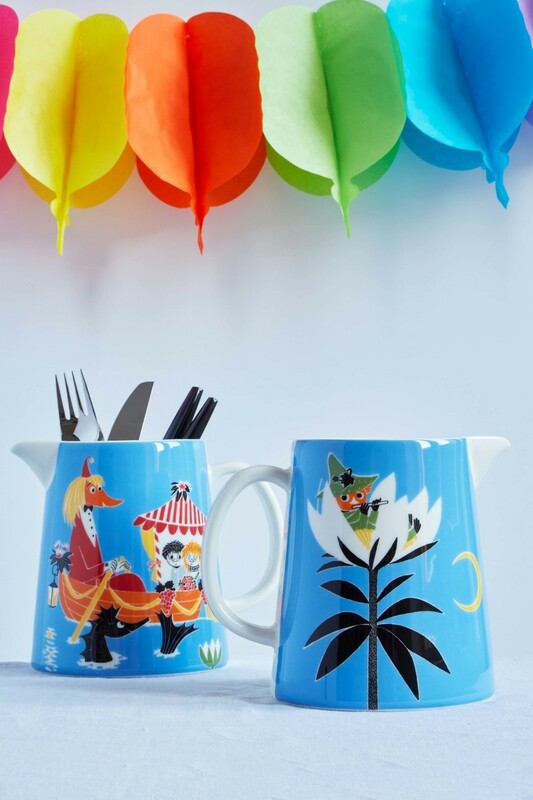 Arabia’s Friendship pitcher is adorned with a lovely print on a blue background. 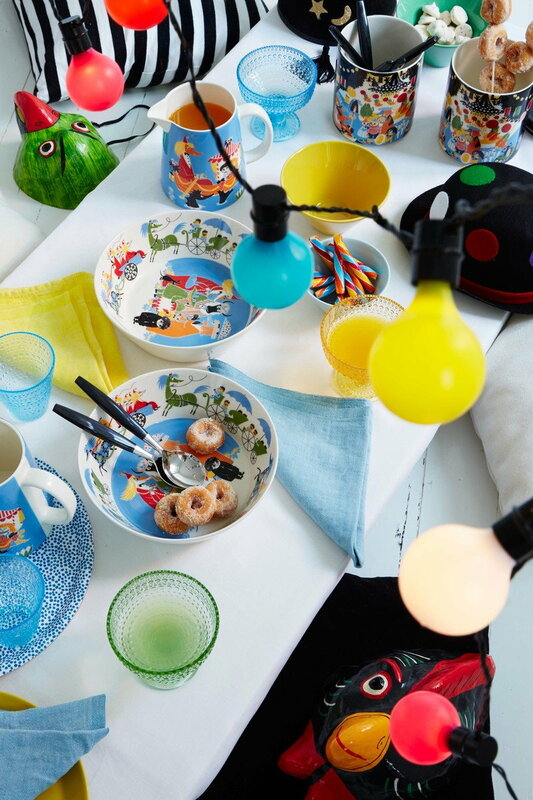 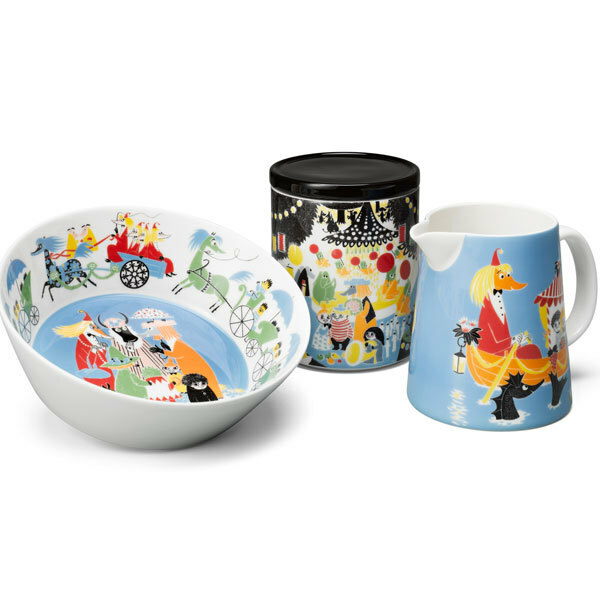 The Moomin Friendship collection features illustrations based on Tove Jansson’s storybook, Who Will Comfort Toffle?, where lonely Toffle, after exciting adventures, finds himself a true friend. 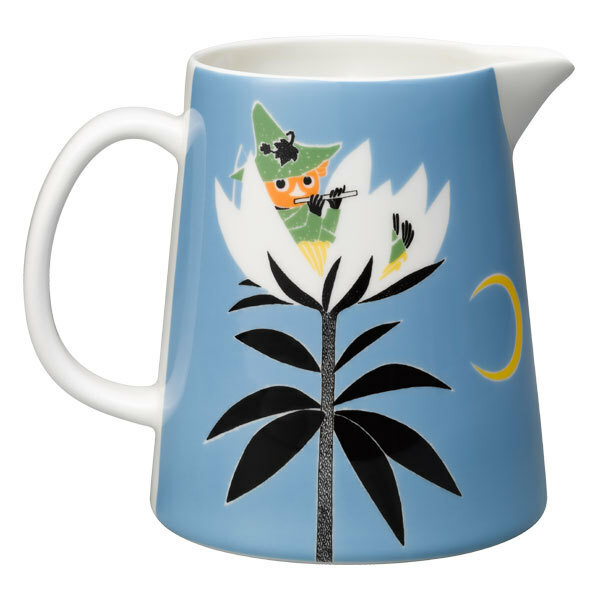 The ceramic pitcher’s volume is 1 litre, and it has a white handle and spout.